Q fever was first described in 1937 by Dr. Edward Holbrook Derrick among abbatoir workers in Queensland (Australia). This worldwide zoonotic disease caused by the bacterium Coxiella burnetii also affects several domestic and wild mammal species, birds and arthropods, which can serve as reservoirs. The transmission between or within populations mainly occurs via inhalation or ingestion of this bacterium, which is also classified as a category B bioterrorism agent. Consequently, the epidemiological triad (i.e., agent, host and environment) assumes a crucial significance for the scientific knowledge of C. burnetii to understand its dynamic circulation within animal and human ecosystems and its pathogenicity in different populations. All of these aspects are deeply discussed in the present book. Moreover, risk factors, spatial epidemiology, the impact of climate change, pathogenicity, diagnosis in animals and humans, diagnostic and typing methods, and immunity improvement against C. burnetii within hosts are also described. 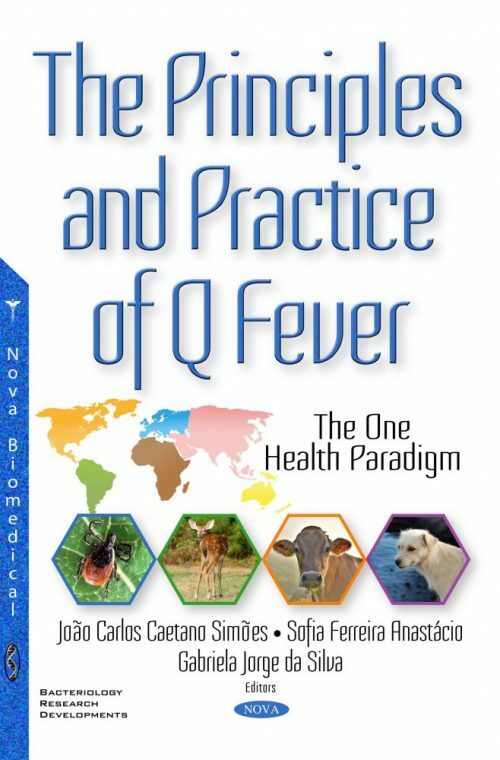 Other than scientific research, this book also reports evidence-based medicine attained by several expert researchers in biological sciences, medical doctors and veterinary physicians, and their vision regarding Q fever trends and challenges. A significant amount of comprehensive information based on the One Health approach is shared with the readers. We expect that the contents of this book, as an integrated and holistic update about Q fever and its etiologic agent C. burnetii, may contribute to a better comprehension of this important and widespread zoonosis, to trigger and fuel scientific research, which will undoubtedly aid in the improvement of world biosafety.